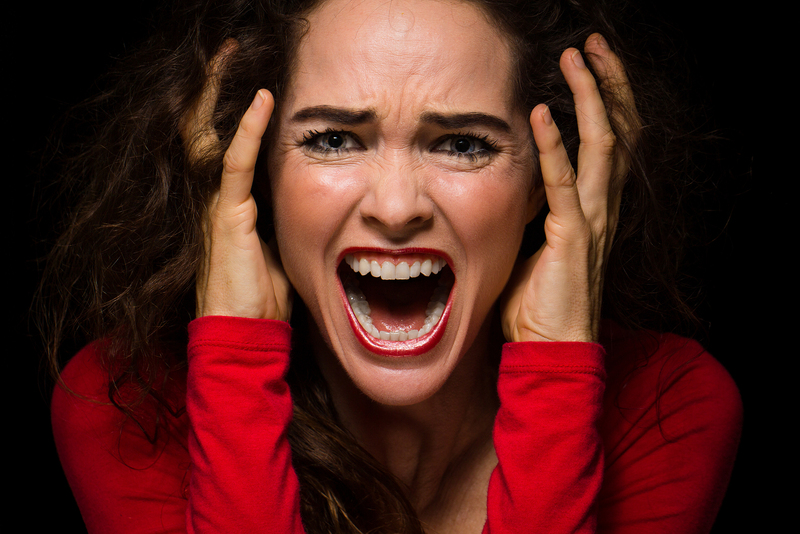 Anger is Not a Four-Letter Word | Choose Your Energy: Change Your Life! Having posted recently on the power of kindness, today’s post is rather ironic. Because it’s about dealing with anger and frustration. And it’s long overdue. Last April, my husband and I contracted to build a home in Virginia. Having been promised the house would be completed by the end of August, we sold our Colorado home quickly and relocated to Virginia at the end of August via a 25-hour road trip with our three cats, SiddhaLee, Mortimer and Maisy Jane. We secured temporary housing for what we thought would be just two weeks at a Staybridge Suites located 30 minutes from our new home. For nearly two months, we continued residing at Staybridge with Sid, Mort and Maisy waiting for the builder to complete our home. The delays dragged on, including switching us to a different model on a different lot just days after we arrived here and nearly four months into the project because they couldn’t deliver the original house in the time and manner promised. What a perfect time to practice what I teach by choosing to go with the flow and trust that everything is an opportunity and the highest good is always unfolding rather than choosing to feel stressed and making myself and everyone around me miserable. Yes, “feeling” stressed is always a choice, never a necessity. But if I am feeling stressed, the answer is not to ignore it. Because that which is denied will wreak havoc eventually in untold ways. While I’ve been going with the flow generally, with the help of regular treadmill workouts and nightly knitting, I’ve also been less regular with my proven de-stressors of frequent meditation and tapping. I’ve been mindful of the fact that my spotty practices have not been supporting optimal flow, but so far haven’t done much to enhance my approach other than to notice it with curiosity, respect and compassion—an important predecessor to changing destructive habits into more constructive ones. Most curiously self-sabotaging of all, for months now, I’ve been resorting to my old favorite dysfunctional stress coping mechanism: eating too much in an effort to smother my anxiety and distract myself from my growing anger. Didn’t I write a book about how that doesn’t work? Didn’t I specifically devote an entire chapter to the benefits of Sensory Balance and how gorging one sense (taste, in this case) can never fill the voids created by starving others (for example, creativity, vitality, spirituality and belonging)? Don’t I coach clients on how gorging our sense of taste while starving our other senses is the least effective, least loving approach because, when we most need to be at our peak to handle all that we are juggling, we compromise our functioning by weighing ourselves down with gluttony and less than optimal nutrition, adding the potential of weight gain self-loathing (not to mention the real health risks of obesity) to our already overloaded, overwhelming lives? Despite knowing better, I somehow kept behaving as if overeating was actually going to cure the stress of moving cross-country and building a home. The result? This theory proved to be a lie like all of the other self-sabotaging, self-destructive theories fear generates. The good news? I’ve proven yet again that I knew what I was talking about when I wrote my book. Overeating doesn’t help. Nor does eating food loaded with saturated fat, refined sugar and salt. Congratulations, Deborah! Backed by the further evidence you’ve so generously provided, your book sales should sky-rocket once again (LOL). So, after six months of putting on a happy, evolved face by suppressing my stress with iron will and overeating, is anyone surprised that last week, I finally had a grand mal meltdown? It wasn’t the builder’s miscommunication, misinformation or mismanagement that finally did me in. It wasn’t even the ever escalating expense and uncertainty of the ongoing delays. Or that most of our personal belongings are stashed in a moving truck in Wichita, Kansas and we are living with the bare minimum we thought we’d need for the expected two weeks in temporary housing. No, what finally did me in was the weapon I too often choose to defeat myself with. When someone I trusted attacked me and treated me unfairly and unkindly, I felt ashamed and went to pieces. I forgot that 95% of how others treat me is all about them and their fears and has little or nothing to do with me. I forgot that we are all doing the best we can with the love and light we give ourselves access to at the time. And that when I invest my energy in casting judgment on how poorly you or I are doing, I disrespect the organic unfolding of our unique personal journeys and further frustrate everyone involved. I forgot that a really strong reaction usually means I have similar unresolved hurts from my past that I’ve consolidated onto the present situation, making it feel far worse than it actually is on its own. Most important of all, I forgot that, whatever my circumstances, the key to experiencing equanimity is fueling myself in each moment with unconditional love, respect, curiosity, compassion and gratitude for myself and every being, encounter and experience. During the conversation, I was so shocked that I didn’t show up as my most aware, wise and articulate self. As we so often do in such situations, fueled with too many months of too much work and food and too little rest and fun, I just slunk away with my tail between my legs to find escape in graham crackers and peanuts. Adding insult to injury, the person called me again the next morning and gave me a refresher smackdown. Though I ended that call as quickly as possible, still not lashing out in return, the second smackdown was a real blessing because it helped me start to shift from my initial powerless victimhood response of “poor me” to a more empowered angry “how dare she treat me this way.” That anger provided momentum for me to start moving forward to healing and empowerment. Continued victimhood would have only resulted in further disempowering shame and self-loathing until I’d planted myself yet again in the quagmire of depression and despair. Been there, done that, got the t-shirt. No point in going there again. For the next few hours, I embraced all of my emotions and let myself feel and express them fully in the privacy of my suite. I drafted a brilliant, scathing and cutting email to her enumerating her incompetence, ignorance and crimes against humanity (me). I refined my draft every time I thought of another snide though accurate shot I could deliver. Over the next hour or two, I just kept refining that email and saving it as a draft with no address in the “to” field so I wouldn’t send it accidentally—an anger management best practice. I let myself feel and express all of it in the sanctity of my room through my anonymous email draft and periodic rants until I had nothing more to say. Drained and exhausted, I remembered that, while fully accepting and expressing anger is essential to optimal health, holding onto it longer term will only poison my system. I remembered that forgiveness is a gift I give myself. Anchoring that insight in my consciousness, I embraced and celebrated our shared humanity recognizing that, sometimes when people are stressed they lash out unfairly and unkindly. And sometimes when they do so, and I am also stressed, I just might forget all of the love-fueled truths I hold dear and choose to freak out as a way to remind myself of the debilitating power of fear. Congratulations, I’m still human so I’m not done yet! I can still offer you great examples of how you too can choose your energy in each moment by sharing where I stray from the path and how I recognize it and get myself back on track. It’s pretty simple to explain, it’s all about choosing unconditional self-love, respect, curiosity, compassion and gratitude in each moment rather than any form of fear (which includes anger). Having shared my story with you, I feel even better. Through it I’ve once again expressed my mission of sharing my experiences to help others find lives of hope, possibilities and empowerment. Time to get a shower, get dressed and embrace all of the other opportunities life is offering me today. Whatever my circumstances, I know who I am and Whose I am. I am a unique cocreative expression of the Divine. And so are you. How could that ever not be enough? PS: We are actually closing on our house today! Debra, You are amazing! While I was reading your condemnation of self, I was sympathizing with your predicament. There was hope that you had not fallen into the eating retreat. You represent to me, one who can retain that vibrant beautiful self, as I remember you. You are blessed to now have a home where many memories will be created. May the Divine continue to abide in you.